If you are looking for house cleaning services in Charlotte, look no further. House cleaning can be a daunting task that can take time and hard work, and we know many people just don’t have the time to devote several hours or an entire day to house cleaning. At Fiv5 Star Cleaning, we are here to offer a solution with our quality house cleaning services. When you work with our professional, highly trained team, you can trust that your house in Charlotte, North Carolina will be cleaned thoroughly and tailored to your needs. Whether you need a one-time deep cleaning service or more regular weekly or monthly house cleaning services, we’ve got you covered. We have a baseline for our services that allows us to add or remove any services you want, so your cleaning service fits your needs exactly. 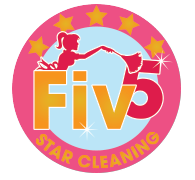 When you work with our team at Fiv5 Star Cleaning, you can be confident you are getting the cleaning services that are most beneficial to you. Our house cleaning services can cover all the major areas of your home, like your kitchen, bedrooms, bathrooms, and living areas. Whatever cleaning services you need, our hardworking, reliable team is the one to call to handle the job. Our company has grown significantly in the last several years due to our great customers and quality house cleaning services, and we are happy to offer these services to more people in Charlotte. Don’t hesitate to give us a call at Fiv5 Star Cleaning for more information about our house cleaning services. We will be happy to accommodate any needs you have to provide you with house cleaning services you will love. Call us today! At Fiv5 Star Cleaning, we offer house cleaning services in Charlotte, Concord, Cornelius, Gastonia, and Mooresville, North Carolina, as well as Rock Hill, South Carolina.